Undefeated NABF Lightweight champion, Selina “Aztec Queen” Barrios (4-0, 2 KOs) is getting ready for her Corpus Christi Showdown on September 22, 2018, against Patricia Juarez (4-0), sister of WBC Bantamweight champion, Mariana “Barbie” Juarez(50-9-4, 13 KOs). “Training camp has been very challenging but its going to be worth every minute. I feel very motivated for this camp. I truly believe I am the best in my division and for that to continue to be true, I must train harder than others, and that’s what I’m doing. I understand that Patricia Juarez is undefeated and a very tough opponent. I am training extremely hard, because I respect her skill level. It’s going to be a great fight for the fans. 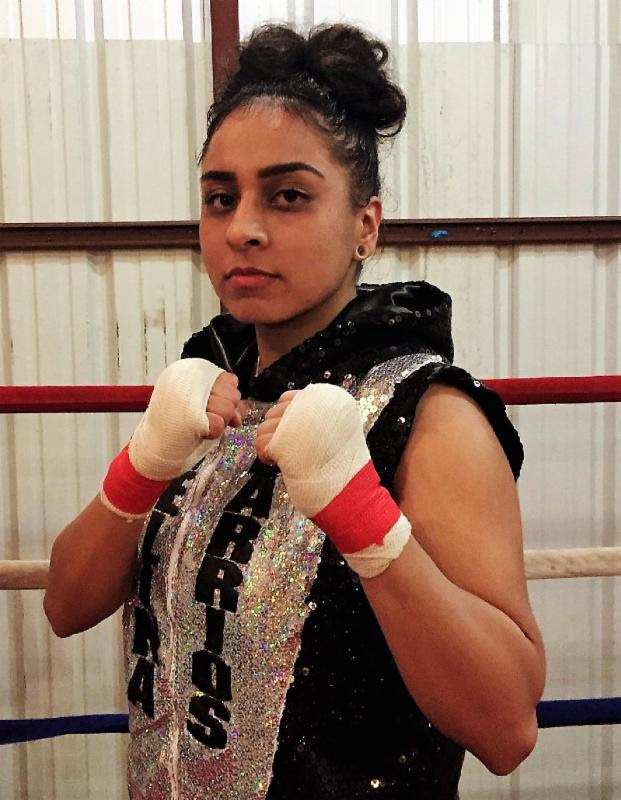 “Patricia Juarez is a deserving and tough challenger. I am training as though I am going to be in a tough and grueling fight that will go the distance, but my mindset like my last fight is also to go for a knockout. I am training very hard for this fight and I want the fans to know that I am not taking my opponent lightly. “It is a dream come true when you work so hard at something, in my case boxing, and a major organization lets you fight in their facility. It is a staple of the city of Corpus Christi and it is a major honor to entertain so many people from that city. “The NABF lightweight title means the world to me at this point in my career and defending it is very important. I live for people to call me ‘champ’ and to not have a belt, would mean I didn’t work hard enough to keep it. I can’t let that happen, so I am working tremendously hard to keep this belt, because not just do I want to defend it, but I also want to fight for a world title as well, which means I cannot lose the NABF strap.